On October 31, Virginia high school teacher Peter Vlaming was placed  on administrative leave for refusing to identify a transgender student by his proper pronouns. According to The Associated Press , “Vlaming told superiors that his Christian faith prevented him from using male pronouns for the student,” and the West Point School Board voted unanimously to fire him for repeatedly violating the district’s anti-discrimination policy after a public hearing on December 6. Following the board’s decision, students and parents held  a walkout and began circulating petitions in support of Vlaming, which have collectively  garnered  more than 15,000 signatures. Vlaming is considering  legal action against the school district. Despite extensively covering the story with 90 segments between December 4 and 12, not a single anchor or reporter explained why misgendering a trans student would be considered harassment  or noted that those actions stigmatize  trans folks and erase their identities. However, 33 of those segments did include language that Vlaming's actions were "hostile" or "threatening" -- nearly all of which were from one of two short clips of school administrators speaking during the hearing. School districts and states around the country have adopted  affirming policies to respect trans identities and to condemn  bullying based on gender identity or sexual orientation. 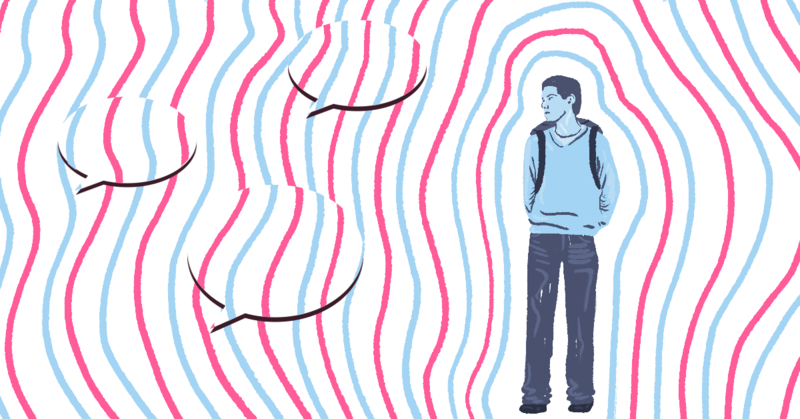 GLSEN's Model School District Policy on Transgender and Gender Nonconforming Students encourages  schools to respect students’ names and pronouns to improve their experiences and reduce the harms caused by non-affirming practices like misgendering. Furthermore, while the majority of clips supportive of the student came from repeated airings of two short clips of school officials speaking at the hearing or readings from official school district statements, many segments showed lengthy or multiple  clips of Vlaming, his lawyer, and students defending his actions. For example, a segment on WVEC 13 featured multiple clips of a student supportive of Vlaming interspersed throughout the segment. Only one segment included  a quote from a parent, friend, or student supportive of the trans student at the center of the case, which was read by a reporter on WRIC’s 8News. Additionally, stations aired five quotes that appeared neutral to the story, either calling for more discussion, describing the events, or saying that the situation was not good for either side. While Vlaming’s story plays out in Virginia, several similar cases around the country are already being supported or litigated by the influential and extreme  anti-LGBTQ group Alliance Defending Freedom (ADF). In November, ADF attorneys announced  that they had filed  a federal lawsuit representing Nicholas Meriwether, a Shawnee State University professor who received  a formal warning for not using the appropriate pronouns to address a transgender student. Additionally, an ADF-allied attorney said  in June that the group was working with an Indiana high school teacher who also cited his religious beliefs for refusing  to address transgender students by their appropriate names and pronouns.